Spot or Spot Free ? The Factors That You Need to Know. The aluminum profiles are widely used in the installation of LED strip lights to make it look neat and chic in ceiling, floor, and wall. 1. There are different cover types: Oyster White (Opal Matte), Frosted （Semi-transparent）, and Clear (Transparent). 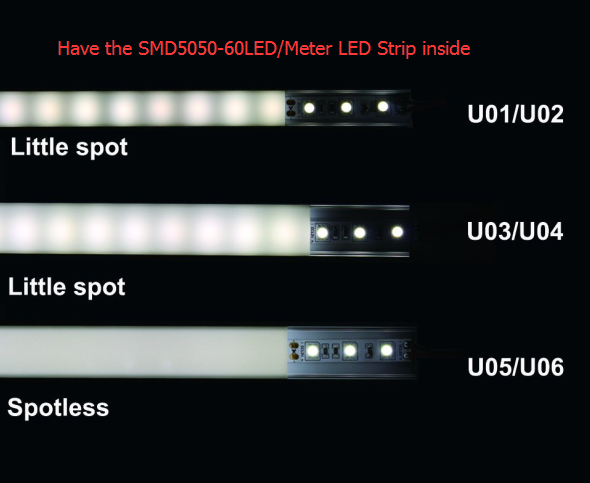 The Oyster White cover get the LED lights hidden completely when unlit, and only show a little spot when power on. 2. The aluminum profiles have different size, there are a DEEP channel and SHALLOW channel. The one with DEEP channel, the LED strip (the lighting source) is farther away from the cover, which gives a less spotty look. 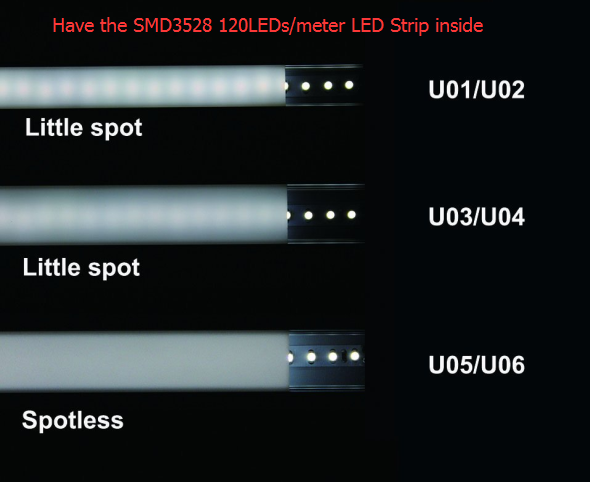 And also if the LED strip has more bulb intensity, the lighting effect is more spotless than the strip with fewer bulbs.